As part of the Prosafe Joint Action Market Surveillance of cots, travel cots and baby carriers, the Technical Regulations Division within the Malta Competition and Consumer Affairs Authority tested a number of cots and baby carriers found on the market locally. Results from the accredited laboratory have shown that the following products pose a serious risk to consumers, infants and babies. The BabyGo-Sleeper changing table (photo 1) is not compliant with the applicable standard (EN 12221-1:2008+A1:2013) since the width and length of the changing unit are less than those required by the standard. Also, the changing table and cot collapsed during the strength test specified in the standard and the function of the sample was impaired. 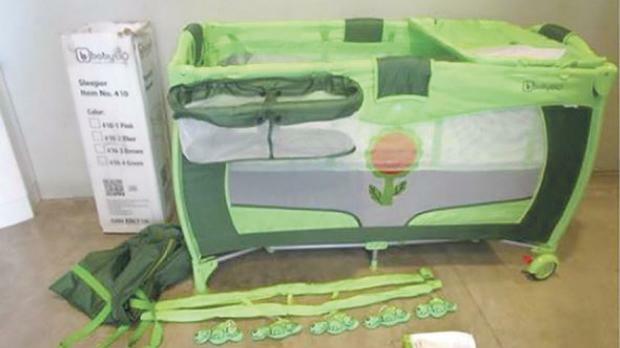 The BabyGo-Sleeper travel cot (photo 1) is not compliant with the applicable standard (EN 716-1:2017) due to a number of holes, gaps and openings at the corners of the cot, between the fabric and the frame and between the textile lid and the structure of the cot on each side of the green textile lid. Additionally, on the outside of the cot, there is a pocket which poses head entrapment risks. The folding mechanism of the travel cot also disengages when the force stipulated by the standard is applied. The Infantino-Swift baby carrier (photo 2) is not compliant with the applicable standard (EN 13209-2:2015) due to a failure in the durability test as stipulated by the standard. The baby carrier broke when tested with the load specified in the standard after less than one third of the cycles required by the same standard. 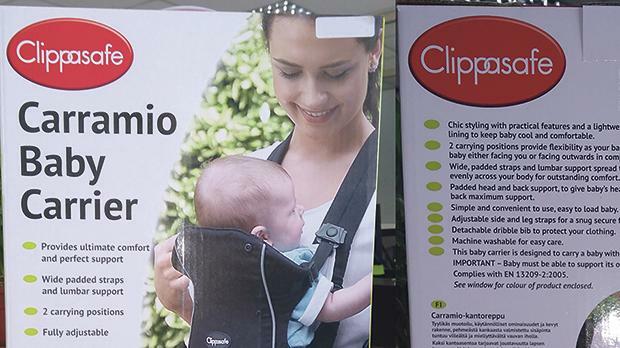 The Clippasafe-Carramio baby carrier is also not compliant with the applicable standard (EN 13209-2:2015) due to a failure in the durability test as stipulated by the standard. The baby carrier broke when tested with the load after less than one half of the cycles required by the same standard. Consumers who bought these products should refrain from using them and return them to the retailer they bought them from. Economic operators should remove these products from the market and return them to their supplier. Enforcement action will be taken against those operators found to provide them to consumers during future inspections. One may contact the MCCAA for more information or e-mail marketsurveillance@mccaa.org.mt for any queries on this issue.